Today, Famitsu shared their latest monthly report on video games sales in Japan, this time covering January 2019 (and more precisely the period going from December 31st to January 27th, so 4 weeks in total). New Super Mario Bros. U Deluxe is off to a great start, with 336 439 units sold. If it keeps selling steadily through 2019 (just like Mario Kart 8 Deluxe has been selling since launch), then it should easily sell well over 1 million units. How much it wil end up selling LTD will most likely depend on when a new 2D Mario game is released. But despite that great start, New Super Mario Bros. U Deluxe was still outsold by Super Smash Bros. Ultimate, which saw strong sales during its second month on the market. It sold no less 414 092 units, which is a 82% drop compared to launch month. Considering it already outsold all other entries in the series during that very month, that January drop is actually fairly solid. Super Smash Bros. Ultimate should be able to reach 3 million units in February or March (the latter is the safest bet). The Nintendo Switch is not the platform with the most games in the Top 5 this time around, thanks to strong releases on PlayStation 4 (in fact, the best-selling game isn’t even on Nintendo Switch). It grabbed 2 of the 5 spots in the Top 5. Thanks to the strong second month of Super Smash Bros. 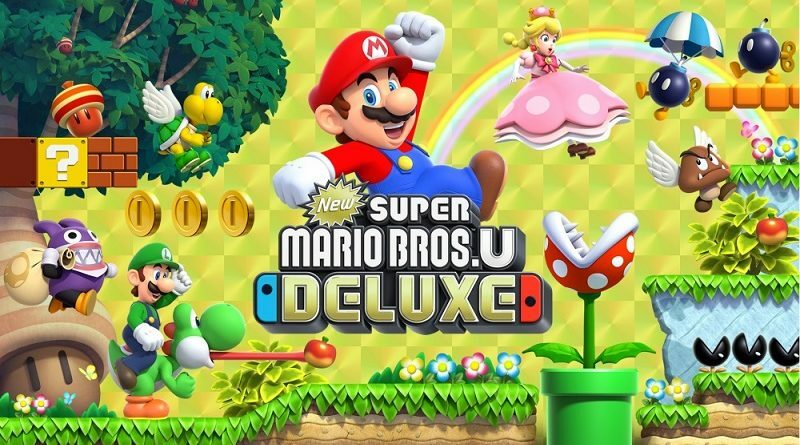 Ultimate, the solid debut of New Super Mario Bros. U Deluxe, and the steady sales of its Nintendo Switch evergreen titles, Nintendo was the most successful publisher with about 1 336 000 units sold. That’s actually better than the publishers ranked #2 and #3 combined! Square-Enix sold about 820 000 units, mostly thanks to Kingdom Hearts III and Dragon Quest Builders 2. Hardware-wise, the Nintendo Switch was the best-selling console in Japan for the 11th month in a row with 432 062 units sold. 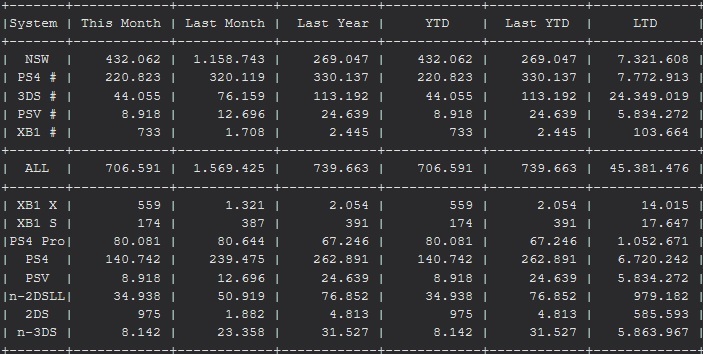 The drop from December is quite big (1 158 743 units sold during that month), but that’s no wonder since it was the biggest month of the year! Nintendo Switch started 2019 off the right foot: sales are up by a significant margin compared to January 2019, when “only” 269 047 units were sold. This is mostly due to two factors: no more shortages holding back sales, and of course strong Software sales (with Super Smash Bros. Ultimate and New Super Mario Bros. U Deluxe carrying the console along with them). The Nintendo Switch has now sold over 7.3 million units; it took about 23 months for it to reach the 7 million units milestone. Meanwhile, the Nintendo 3DS keeps sliding further and further into irrelevance, with only 44 000 units sold in January. It’s definitely safe to expect low sales through 2019, as there’s literally nothing left to boost sales in any way.